Hi everyone! I thought it would be a good time to provide another development update since it’s been close to two weeks and I have some new features and improvements to share. This includes item tooltips, menu updates, and some various editor enhancements. One of the new features that I am most excited about is the implementation of item tooltips! There will finally be a use for item names and descriptions that have been specified in the Item Editor. When hovering over an item in your inventory or in a container, a tooltip is now displayed with the item’s name and its description if available. One type of customization was added to the Main Menu, in particular the hover color for the menu items. Within the UI Editor for the Main Menu, a color picker located in the Properties panel will let you select the color to which the menu items will change when hovered over. 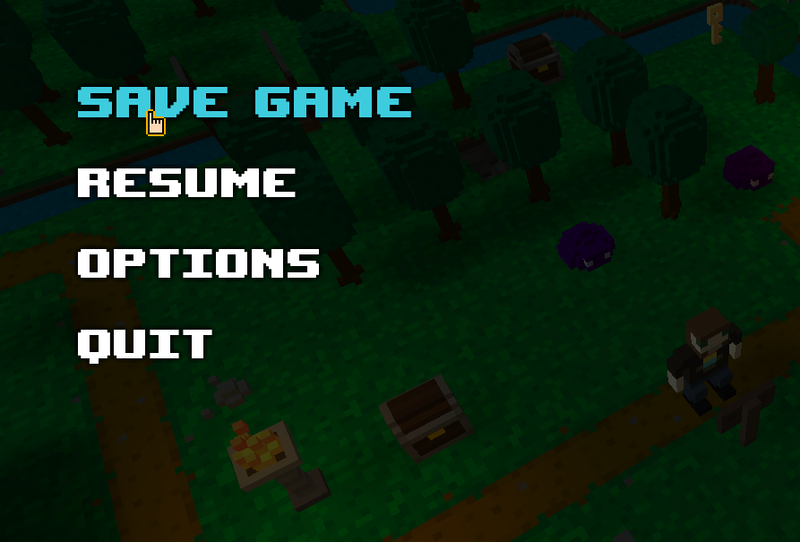 I also implemented some very basic Save Game functionality. You can save your game from the Pause Menu, then continue your last save from the Main Menu the next time the game is started. Currently only the player’s location and inventory are saved so there’s a lot more work to be done around this. It’s a start, though! Another new feature that I have been working on recently is the ability to drag and drop external resources into the application from your system’s file manager/explorer. The currently supported file types are images (.png, .jpg/jpeg), fonts (.ttf), sounds (.wav), and music (.ogg). The functionality is equivalent to using the “Import Resources” tool located on the main toolbar. As detailed in the previous development update, you can now save camera positions in the Map Editor for various purposes. You can now also use these camera positions with the “Move Camera” functions. When editing one of these functions in the Script Editor, there will be radio buttons to select between “Coordinate” and “Camera Position”. By selecting the latter, a field will become available to enter the name of the camera position. Camera positions should make camera scripting less tedious, especially when you need fine-tuned positions for cut-scenes. About a week or so ago, I took some time to bring the Example Game up to date to better demonstrate the currently capabilities of the engine. I thought it would be a cool idea to also provide a First-Person version of the example game so it can be experienced in different camera modes. If you have already installed it via the Itch desktop application and you want to try out the First-Person version, you can simply uninstall it then install it again and it should prompt you for which version to install. And lastly (although not really related to development), I thought it would be cool to share a neat tool that I came across called IsoVoxel. It converts .vox files into isometric pixel art! It can be download from GitHub here: Github.com. 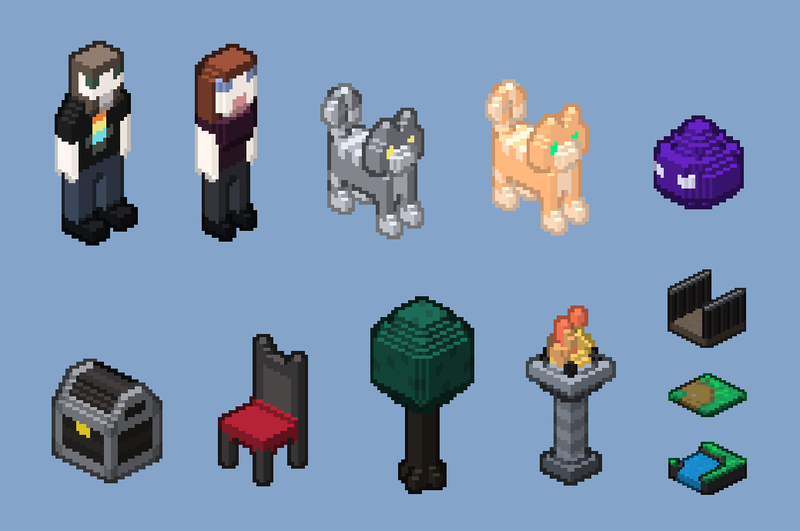 Just for fun, I used some of my RPG in a Box example assets to try it out and it works surprisingly well!